Contact us for a FREE lawn analysis today. We look forward to assisting you with your lawn care needs. Please visit our Facebook page and remember to LIKE our page. 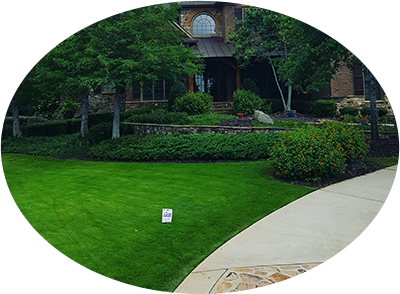 United Lawnscape, established in Newnan, GA, is a professional lawn care company providing top-quality lawn care with excellence. Our corporation is built from the grassroots "literally." 1. We Are Trusted and Referred! 2. We Pay Attention to Detail. 3. Advanced Technologies Applied With Modern Equipment. 4. We Specialize in Lawn Care Science. 5. We Offer No Hassle—No-Contract Full-Service Packages. We are proud to announce that we are the winner of the Super Service Award for 2016 in Coweta, Fulton, and Fayette counties from Angie's List. Read Press Release. The foundation of our existence in one word: "passion." When you love what you do, it does not work at all. This is why our customers can see a major difference in the quality of work that we provide for them compared to others. We are dedicated to the craft of lawn care. Our customers’ properties are a reflection of class. We serve clients in Coweta, BA and its surrounding areas including, Fayette County and Fulton County.